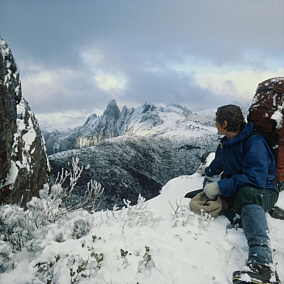 This is the story of a tortuous love affair, lasting now for over 30 years, involving Australia's finest mountain and a "new Tasmanian", who came as an immigrant climber from Europe and became infatuated with what he saw. 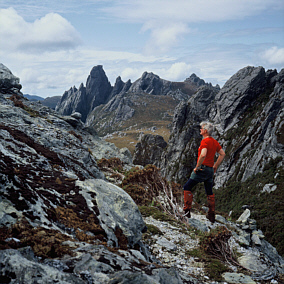 FEDERATION PEAK is at the hub of Tasmania's charismatic south-west wilderness and was climbed for the first time in 1949, only four years before men first reached the pinnacle of Mount Everest. 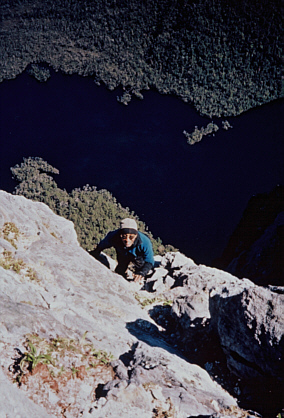 KEVIN DORAN came to Tasmania in 1971 and has mounted more trips to Federation Peak than anyone else, reaching the summit on a record 21 occasions. You don't have to be a bushwalker to share the excitement of this relationship. 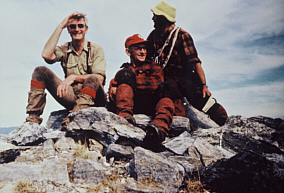 Although much bushwalking lore is included and many hints can be gained from the book, it is essentially non-technical in the main, and a glossary is provided as a backup. The many people throughout Australia who have visited Fedder or are planning a trip to it will find this publication compelling reading, particularly with the text so well supported with maps and colour photographs. 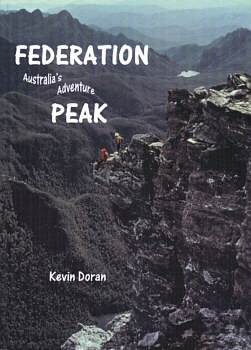 The book explains in detail the topographic outline of Tasmania's south-west and how Federation Peak sits at its core. 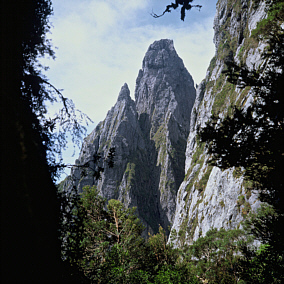 Background is given to the early exploration of these areas, from the first sightings of this alluring but broodingly dangerous mountain in the distance, through the original attempts to find a way to reach it and then to successfully climb it, including the difficulties and tragedies along the way. 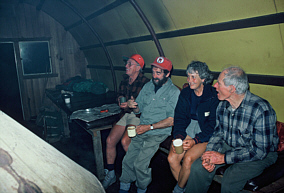 The author introduces many great characters who have accompanied him on pilgrimages to Australia's mountain mecca and the book is dedicated to one such identity: the late Ossie Ellis, a long-time resident of Tasmania's Cradle Valley and co-founder of Pencil Pine Lodge. 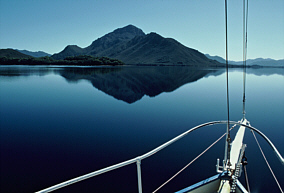 This has now become the Cradle Mountain Lodge - a world-famous retreat and tourism icon.